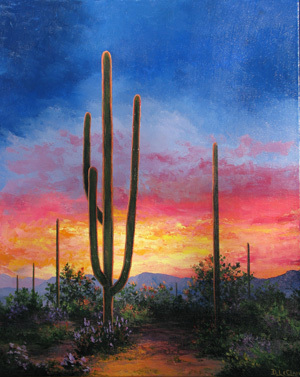 It is obvious from her large striking and colorful paintings, that Darlene LeClair lives in the Sonoran Desert. 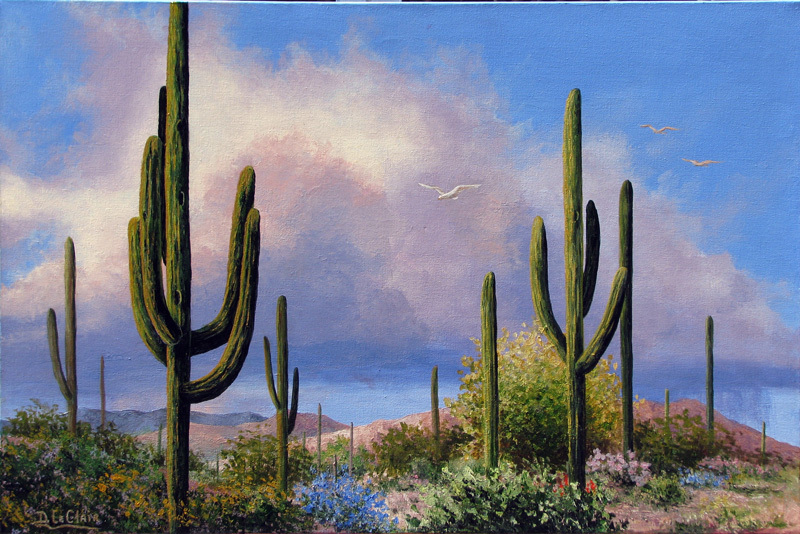 Her paintings are eye-catching whether they are of one cactus flower, a prickly pear plant full of fruit, or a broader view of desert saguaro’s rising up in front of distant mountains. 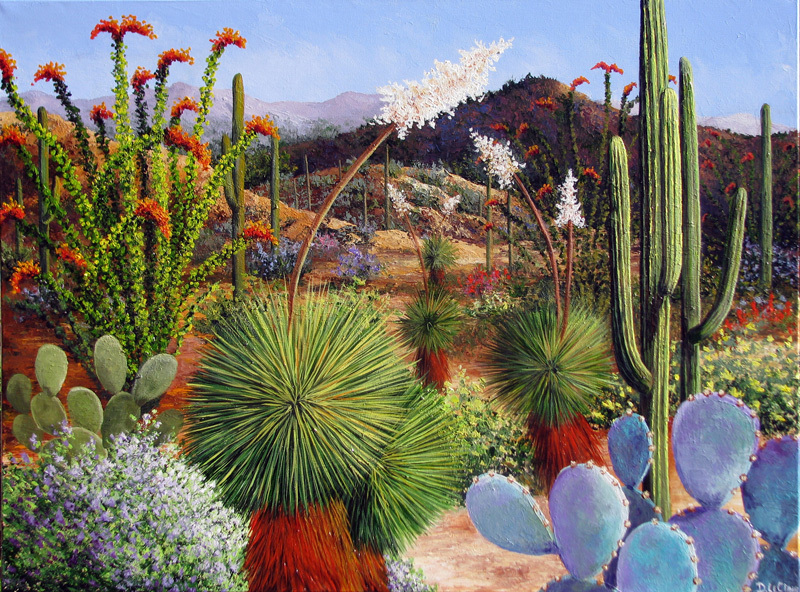 Darlene not only depicts the plants of the desert, she also paints scenes of houses, missions, and backyards typically found in the Southwestern United States. 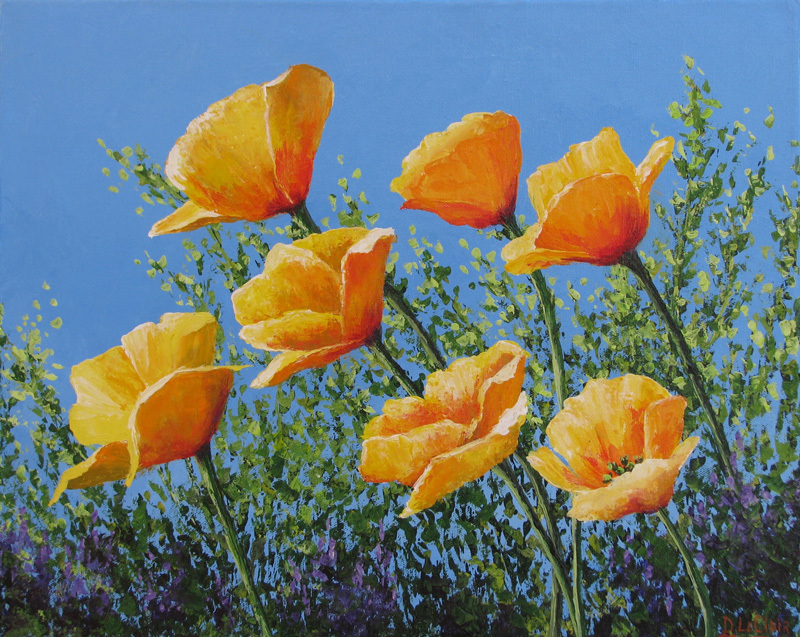 Although she began her art career painting in oils, Darlene now prefers to paint in acrylics. Her pictures are full of the detail that only a palette knife can accomplish. 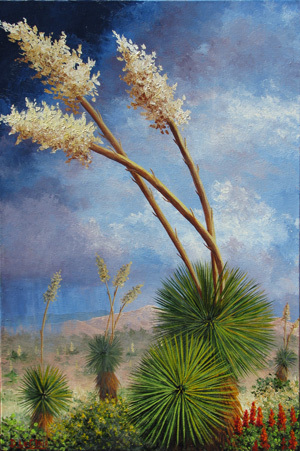 Darlene’s work can currently be found in continuing art shows at the Desert Artisans’ Gallery in Tucson. She has been a member of that cooperative gallery since 1992. A year after joining she began serving on the gallery Board. She has now served for over 20 years as a corporate officer of the group and currently still serves on its Board. Darlene has studied under impressionist painter Kent Wallis and continues to attend workshops to keep her art fresh. She has received numerous awards and ribbons for her artwork in both the amateur and professional artist categories at numerous Pima County Fairs. 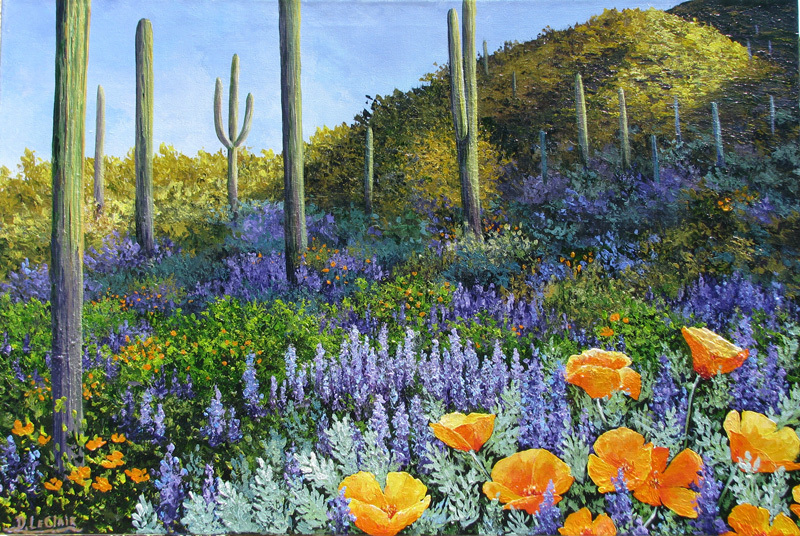 Her art was recently featured in Phoenix Home and Garden magazine.